JA Sensei version 5.1.4 now available on Google Play with full integration of a QUIZ mode for the Radicals module. JA Sensei 5.1.0 now available! JA Sensei is getting always richer in features and content to help you in your Japanese study. Discover or rediscover JA Sensei. JA Sensei version 4.6.7 is now available on Google Play. This version brings much improvement on the vocabulary quiz following the messages you sent me. A unique experience in your life that you often wished later you had lived. Here is an article that will answer most of your questions before leaving to study or work in Japan. Version 4.6.5 of JA Sensei has just been released, and brings a lot of improvements in the writing tools of Kana and Kanji. These changes provide you with new tools to assist you in your learning. JA Sensei 4.6.3 is available on Google Play. All JLPT and Jouyou kanji now have many word examples! One more version of JA Sensei! JA Sensei 4.6.2 is available! Following the major changes in version 4.6.0, I continued to improve the new quiz system those past few days to find solutions to the problems that some users had. JA Sensei 4.5.1 is available and includes 5 new lessons! Happy New Year to all JA members and to your family! 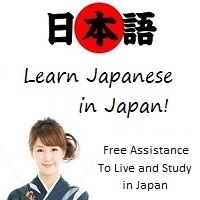 Discover an easy an free service to help you study and work in Japan for a year. JA Sensei 4.2.1 is available on Google Play. I want to wish you and your family all the happiness and joy of Christmas. JA Sensei version 4.0.1 is now available with a brand new modern design. The latest version of JA Sensei is available on Google Play. Check the list of modifications in this article. To keep pace with recent changes to the website, I've updated JA Sensei to version 3.6.1 to implement the latest features. JA Sensei version 3.6.0 is available and implements one of the features that were at the top of users' wishlist: backup and synchronization. JA Sensei keeps getting better with the redesigned Vocabulary module available in version 3.4.0. JA Audiobook for Android has been updated to version 1.0.3. I've listened to your feedback since the application release in April 2014 to make several changes. While JA Sensei approaches the symbolic number of 1 million downloads, version 3.2.2 is a major update that shows what you can expect in the future releases. The Kanji module has been redesigned to integrate most of the features that users requested. JA Audiobook, the new complementary application to JA Sensei has just been released! It focuses not only on learning Japanese, but mainly on developping your communicative skills in Japanese. Within only a couple of days, JA Audiobook appeared in the Top New Apps in Google Play! I'm very happy to announce that JA Sensei now utilizes the full potential of large devices. This version kept me busy for some time, but you'll really be able to take advantage of the new layouts available. Update your application and try the new features available in JA Sensei. SpeakOasis Korean is a phrasebook containing more than 1,100 useful words and sentences grouped into many topics. Get it for free! Some information about the tasks executed in March, and the ones to come. Here comes the latest version of JA Sensei with a great new feature for Kanji and Kana drawing along with new grammatical documents. And the big news is the release of a brand new application, SpeakOasis, that is the beginning of an important project. If you are learning other languages, you might be very interested. This year was exceptionally creative with many new features appearing on the website along with the development of JA Sensei, the application for Android devices. I wanted to give a summary of what was done here. Learning Japanese? Get to the next level! JA Sensei selected among the best Android applications!